These two cutie fur puffs are Henrietta and her beau Barney. 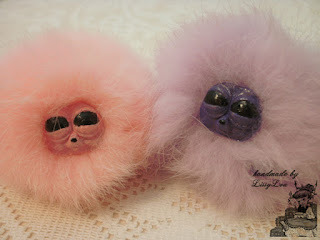 This adorable little couple was discovered recently when they woke me in the night tickling my nose... funny I know. I think Henry (my ginger cat) had a good laugh too as he did nothing to stop them, just sat watching from the foot of the bed before he curled up and went back to sleep. Despite being woken in the night, these friendly little fur balls are a very welcome addition to my growing family of magical creatures. Just look at their precious little faces. 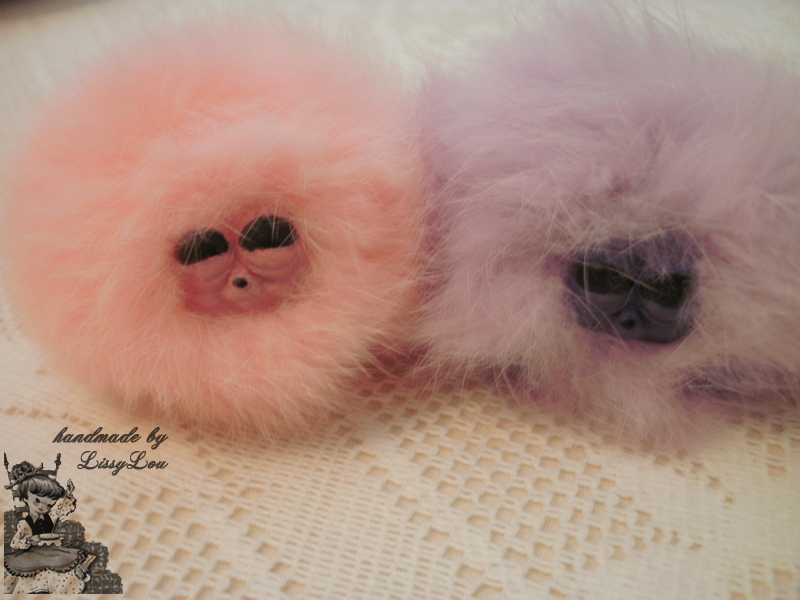 They look so much like Ginny's pet pygmy puff Arnold with their tiny little noses and big shiny eyes, and they are the perfect size to sit upon your shoulder. 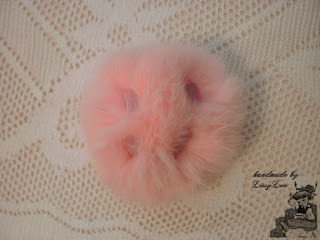 They also have the cutest little feet that are almost hidden in their big puffs of fur. The fur balls are actually 8cm fur keyrings that I purchased online, I just removed the keychain part so that I was left with just a couple of fur balls. 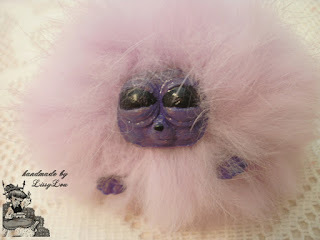 I brought pink and purple of cause, to match the colours of the pygmy puffs sold at Weasleys' Wizard Wheezes. The body parts, that is the four feet and the head pieces, were also purchased online. These pieces are actually 3D printed plastic pieces that are painted and pieced together to create these little critters. Initially I used acrylic paint on these plastic pieces as suggested by the seller, however I noticed that the paint could easily be scratched off so I instead decided to use nail polish. To see how these were put together visit HERE. 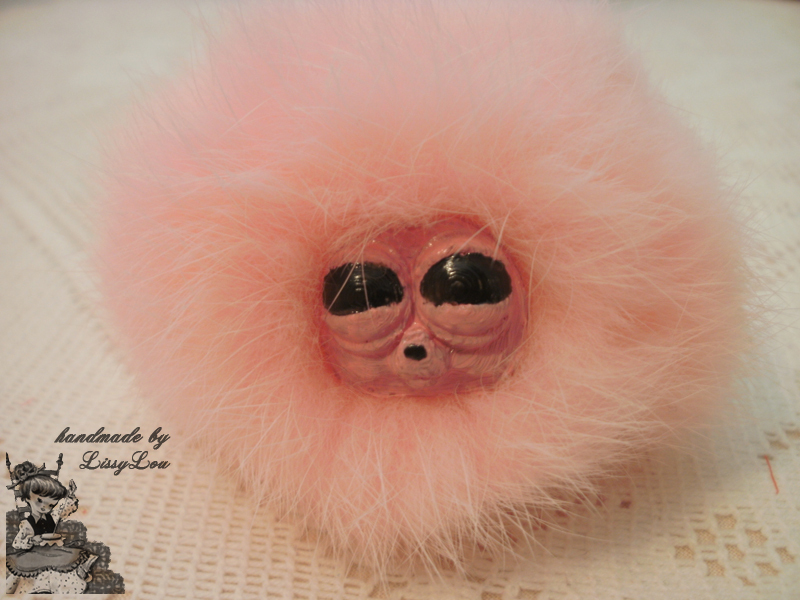 These pygmy puffs were designed in the likeness of those seen in the Harry Potter and the Half-Blood Prince movie, not just in looks but also in their size. 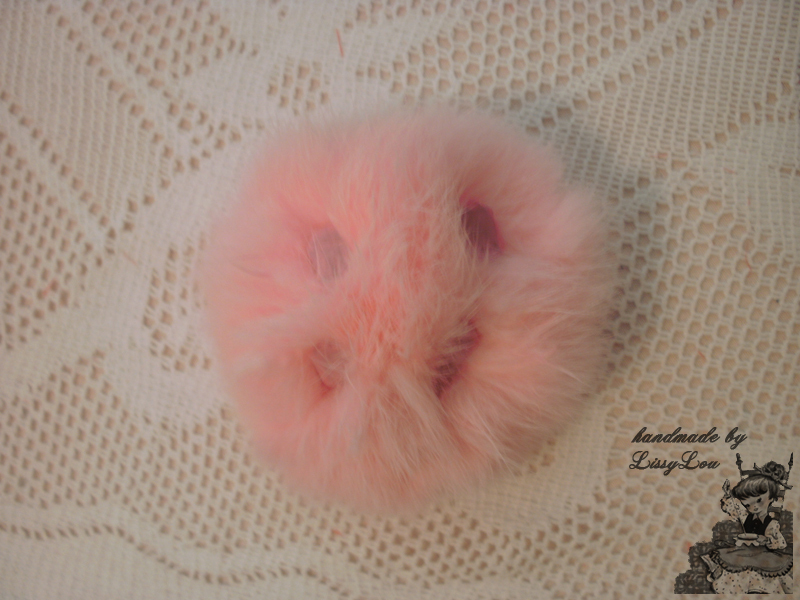 The fur balls and 3D printed pieces were purchased separately, the 3D pieces purchased from ebay HERE, however the same seller also offers kits that include a fur ball if that is preferred. Such a simple craft with such a lovely result.